Snoring sounds during sleep can be produced by the vibration of the soft tissues behind the throat, which can happen when a person is sleeping with a bad position. That is why, anti snoring pillows are created. Anti snoring pillows are specially designed to help a person in maintaining a certain sleeping position that can help in decreasing or even totally stopping snoring. Generally, anti snoring pillows’ designs are made to help in ensuring proper alignment of the head and neck with the spinal column, as well as lifting the chin slightly, to prevent it from touching the chest while sleeping. Sleep Innovations Anti-Snore Memory Foam Pillow, is a special type of anti snoring pillow that is specially designed to help in treating snoring problems. What is Sleep Innovations Anti-Snore Memory Foam Pillow? 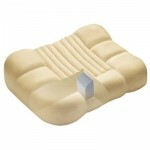 Sleep Innovations Anti-Snore Memory Foam Pillow is a clinically proven to be effective in treating snoring problems. 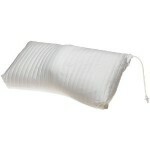 The pillow is specially designed by sleep scientists to help in treating if not reducing snoring problems during sleep. 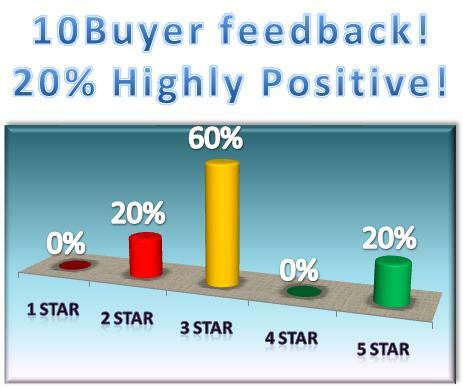 What the sleep scientists are aiming for when making the Sleep Innovations Anti-Snore Memory Foam pillow is to improve overall health and wellness of the snorer and the person or people who’s sleep are disturbed to annoying loud snores. 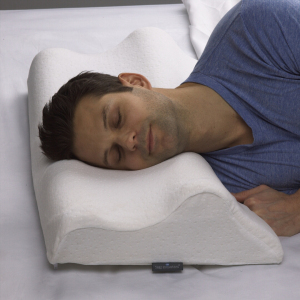 The pillow comes in an ergonomic design that help in maintaining proper alignment with an ideal angle of the head and neck, which can improve breathing and decrease snoring. What makes the Sleep Innovations Anti-Snore Memory Foam Pillow unique from other anti snoring pillows is that it can be used comfortably by either back sleepers or side sleepers. The pillow comes with a 3-zone construction, which is made to help in providing a perfect balance of gentle support of the sleeper while maintaining comfort during sleep. “The concept behind this pillow design seems sound and I don’t want to dispute a clinical study, but it’s just not for me. When properly aligned, I could tell that I might be in the ideal position for open air passages and sound sleep, but I felt like I was too propped up. When I tried sleeping on my side, that didn’t feel right either. I was very tired the night I tried it and was sure I’d fall asleep quickly but couldn’t. The pillow is very firm (which I like) and heavy (which I like). The cover is a very soft, yet durable velour fabric (which I love). And it’s very wide–almost king-sized. But it just didn’t fit ME. 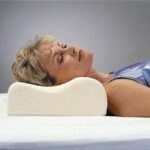 The design of the pillow may take some time before a person gets totally comfortable in using it. And some people may find the pillow to be too high or too low for them, making it not effective in treating snoring. 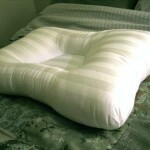 Maybe not all people with snoring problems can find their cure in using this pillow.